Re: Poll: What's your opinion of Ultraman Dyna? I give this a solid 5. First and foremost, I can say that this is one of the best Ultraman Series I ever watched, especially since I can understand what the story is all about from beginning to end. There are its owns ups and downs but regardless I like them all. Although, the most downer part was the fact that Dyna just vanished into the black hole and apparently meet his father. Sooner or later, he made comeback in crossover movies of other Ultra Series within decades later. Of course, one of the favourite reason that I like Dyna was because they put on a cute kaiju as the team's mascot, Hanejiro. Even my little sister gain interest in this series. The fact that Dyna was a sequel of Tiga was kind of a weird for me, especially when I think it does fine without being a sequel, as xilliea mentioned. My memories were kind of hazy but the first series of Ultraman that I watched was Tiga when I was a child. Even in my country, around that time, Tiga was actually quite popular, mainly because of its name. By the way, I am from Southeast Asia country and the reason that Tiga was being popular was because of its name. 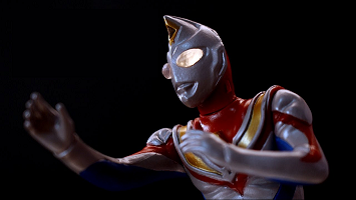 In my country, the word Tiga means number three (3) in Malay language, so you can say that its a unique Ultraman that uses a Malay word in their title. Another way of putting it, Ultraman Sangou if I literally translate it and people might mistranslated it as Ultraman 3. That aside, I think Dyna improved better than its predecessor, Tiga, in terms of how their series played out. From a general opinion, Tiga was too heavy for children to handle, because its too dark, scary and serious. Not to mention that they showed and mention massive casualties on screen. 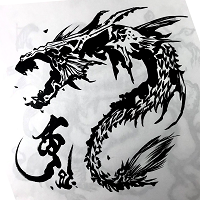 I know that if you make a story of giant monsters appearing out of nowhere, there will be unavoidable sacrifices. No doubt about that and you cannot simply said that everyone is alive for every attack. Dyna had this trait as well but they put it at a rather minimum, and better compared to Tiga, which I think almost every episode, had almost none left unscathed from monsters attack. I can recommend children to watch Dyna as it is because its more lighthearted in general but they need to have a strong heart and resolve if they want to watch Tiga. Regardless, thank you guys for releasing this series. I never thought of having the privilege of getting to watch this because Ultraman series feel kind of lagging behind from Super Sentai and Kamen Riders and not many fans out there are trying to revive it for those who never knew about this. Of course, there are some restrictions like licensing and so on from Gaia onward but I am grateful that I get to watch Dyna and you guys released it. Once again, thank you very much. I only saw like the last half, but I enjoyed it. Sure, it was corny and old, but it was a lot of fun and had a lot of heart at times. It's nice to watch a show where all the characters matter and even have episodes where the story revolves around someone who isn't the main guy. Where kids want to buy the toy because the hero and show is genuinely fun and good, and not because they're shoving a new collectible toy in your face every other week. ...and better compared to Tiga, which I think almost every episode, had almost none left unscathed from monsters attack. I think you might be referring to a different Series or mis-remembering, Hiro. I've watched Tiga and went back to check, and I Don't remember that happening; at least not to the extents you emphasized. People do Die in Tiga and the tragedy of it is emphasized in a few episodes, but not at any higher rate than was Common and it wasn't in every episode. Dyna had a comparable showcase, the only way Tiga was 'darker' is it's monsters tended to appear and act more Lovecraftian, but that was the influence of series head writer/show composer Chiaki Konaka who can and does make that stuff accessible when he's asked to write for an audience that would include children. I.E. Digimon Tamers. But one of Konaka's hallmarks is not pulling punches, and making characters respond as if they were Real people reacting to a real situation despite the fantastical/supernatural around them. Though it's strange the light hearted comment was the angle you took away from it, as Dyna's head writer Keiichi Hasegawa's known for not liking to do lighthearted stuff; or adding an insidious side to what seems like fluff since he's considered one of the influences for making the Tokusatsu genre more all-audience-oriented, tonally more serious, and spearheaded refutation of the belief that their content is intended to write down to solely children...something Echoed a lot by his peers and contemporaries at the time and since. Dyna was one of the first times he was in the spotlight for that, and where his reputation for such comes from. Despite that though, his works do tend to be overall uplifting by their end with positive resolutions that leave you feeling good, as he believes in the Ideal of "Earn your Happy Ending". Again Case in point, SSSS Gridman. I felt this immensely from watching Dyna, whereas to conform to Konaka's lovecraft-isms, Tiga's endings and stories by their ends felt more bittersweet. What I feel was also an influence, is Dyna had fewer Writers on it. Tiga's writing staff was ridiculously massive--consisting of 19 people--with it being rare that any of them wrote more than one episode. This time? Ten people who were in pretty even rotation so they could continue their stories onwards from earlier episodes and showcased characterization. This allowed for its storytelling to be far more balanced and consistent, letting there feel like there was an actual storyline touched on intermittently, instead of a string of disparate and tonally uneven One-offs That sometimes ignored or were unaware of a previous event. Tiga had a lot of episodes that did not mesh well when viewed together as a greater series; Dyna didn't possess that, but felt more collaborative. So Yeah, 4 from me, though I feel Tiga of the pair felt more memorable simply due to how strange it could be.